Durban — It might seem unusual for a waste utility to be concerned with the goal of ending world hunger, but that’s part of the mission of the Water and Sanitation department in South Africa’s second largest city of Durban. AllAfrica’s Julie Frederikse spoke with Neil MacLeod, who heads this department for the municipality known by its Zulu name, eThekwini. With an estimated 30 percent of household water used to flush Durban’s toilets – water which the city has paid to pump and purify – MacLeod sees flushing toilets as unsustainable technology. Like much of Africa, South Africa is water-scarce, with water restrictions expected soon for this city of 3.7 million, whose population is swelling by some 150,000 people per year. 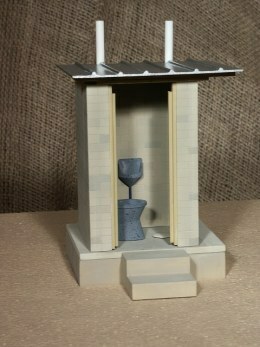 MacLeod sees salvation in an alternative toilet that uses no water at all. Called the Urine Diverting (UD) toilet, it separates urine from faeces so that nutrients can be recovered and returned to the earth. Nitrogen, potassium and phosphorus – aka NPK 5:3:1 – is an excellent fertilizer for growing vegetables. NAIROBI (Xinhua) — Schools that promote a healthy learning environment for pupils help to improve their academic performances, a team of researchers has said. The researchers said such schools, among other things, ensure that the institutions have access to water and sanitation facilities and teachers engage pupils frequently on discussions about health. This promotes teaching and learning thus increasing student’s chances of excelling in their academics. The researchers from the Nairobi-based African Population and Health Research Center (APHRC) worked with 22 primary schools in two informal settlements in Nairobi, Kenya under an initiative dubbed Health Promoting Schools ( HPS ). Clean Fuel Saving Technology Adoption in Urban Ethiopia, 2011. The heavy dependence and inefficient utilization of biomass resources for energy have resulted in high depletion of the forest resources in Ethiopia, while the use of traditional cooking technology, one source of inefficient biomass resource use, has been linked to indoor air pollution and poor health. In response, the government and other institutions have pushed for the adoption of new cooking technologies. This research examines the speed of adoption of some of these technologies – Mirt and Lakech cook stoves – in urban Ethiopia. The duration analysis suggests that adoption rates have been increasing over time, that income and wealth are important contributors to adoption, and that substitute technologies tend to hinder adoption. However, it was not possible to consider prices or perceptions related to either the technologies or biomass availability in the duration models, and, therefore, further research is needed in order to further inform policy with respect to household technology adoption decisions. Environ Sci Technol. 2011 Jun 8. Assessing the microbiological performance and potential cost of boiling drinking water in urban Zambia. Psutka R, Peletz R, Michelo S, Kelly P, Clasen T.
Boiling is the most common method of disinfecting water in the home and the benchmark against which other point-of-use water treatment is measured. In a five-week study in peri-urban Zambia, we assessed the microbiological effectiveness and potential cost of boiling among 49 households without a water connection who reported “always” or “almost always” boiling their water before drinking it. Only 60% of drinking water samples were reported to have actually been boilded at the time of collection from the home, suggesting over-reporting and inconsistent compliance. However, these samples were of no higher microbiologial quality. Evidence suggests that water quality deteriorated after boiling due to lack of residual protection and unsafe storage and handling. The potential cost of fuel or electricity for boiling was estimated at 5% and 7% of income, respectively. In this setting where microbiological water quality was relatively good at the source, safe-storage practices that minimize recontamination may be more effective in managing the risk of disease from drinking water at a fraction of the cost of boiling. Water and Sanitation for the Urban Poor (WSUP): Practice Note 4: Climate-proofing urban WASH: a rapid assessment method, 2011. Climate change is happening, and the urban poor are extremely vulnerable to its impacts. Demand for water and sanitation services in low-income urban areas is likely to increase, while flooding and water shortages may become more frequent. This Practice Note outlines a rapid assessment method, developed for WSUP by Cranfield University, that can be used to plan the climate-proofing of a city’s water and sanitation services. 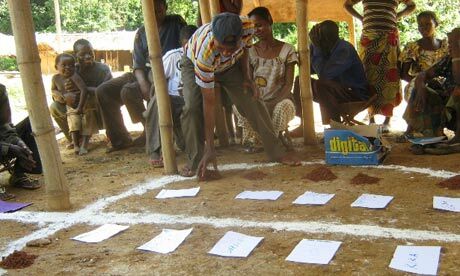 Vast sums are wasted on programmes for free toilets, but the community-led total sanitation approach has helped millions avoid often fatal, faecally related infections. Community-led total sanitation (CLTS) does not sound such a big deal, but it is revolutionary. We have so many “revolutions” in development that only last a year or two and then fade into history. But this one is different. In all the years I have worked in development this is as thrilling and transformative as anything I have been involved in. Let me explain. Firstly, sanitation and scale: 2.6 billion people need improved sanitation and 1.1 billion defecate in the open. The millennium development goal (MDG) for sanitation is badly off track in most countries, which affects all the other MDGs. Secondly, sanitation and hygiene matter much more than most people realise. Where they are lacking, the effects are horrendous. Faecally related infections are many. Everyone feels outrage because more than 2 million children are killed by diarrhoea each year. We hear about cholera outbreaks. But who hears about the guts of 1.5 billion people hosting greedy, parasitic, ascaris worms, about 740 million with hookworm voraciously devouring their blood, 200 million with debilitating schistosomiasis or up to 70 million with liver fluke? And what about dysentery, hepatitis, giardia, tapeworms, typhoid, polio, trachoma…?